Sam Farmer says: "Being a stay at home Dad, I went to buy my kids their first teenage personal care products. Having seen the rows of products, pink, pouty and submissive packaging aimed at my daughter and steel grey, macho stuff intended for my son, I left determined to do something about it"
Sam came to us to help realise his vision, to promote and sell non-gender specific care products to children and young adults. The brief called for a website that would engage with the target age groups, and work well on a range of devices most commonly used by this demographic. 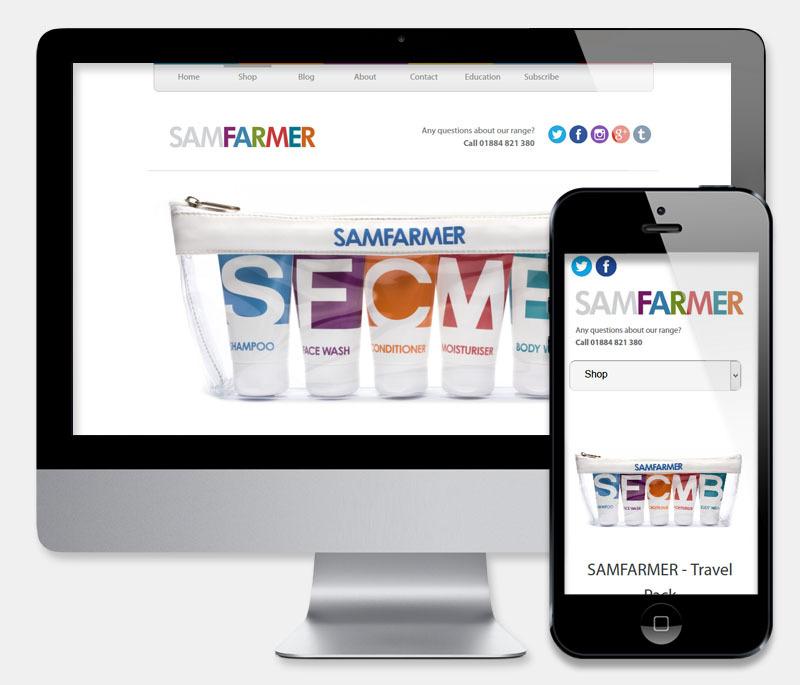 The new responsive site was designed to convey the clean, crisp nature of the brand and products. With great use of white space and prominent social media and marketing links, the site drives visitors directly to the products. A dynamic, client editable noticeboard ensures that the latest news, comments and events are also clearly displayed. The website is incredibly important to me, it really is very comforting to know that you are able to adapt and change to my constantly changing requests so quickly.